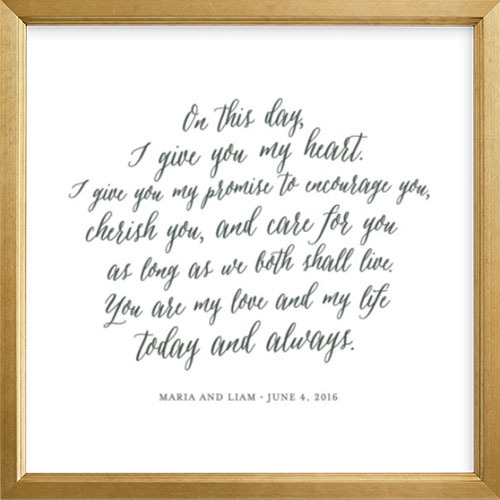 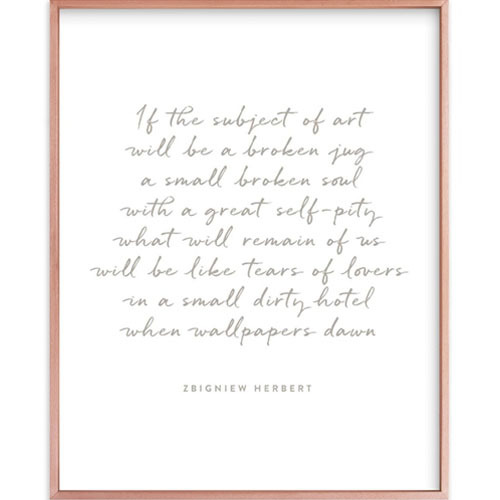 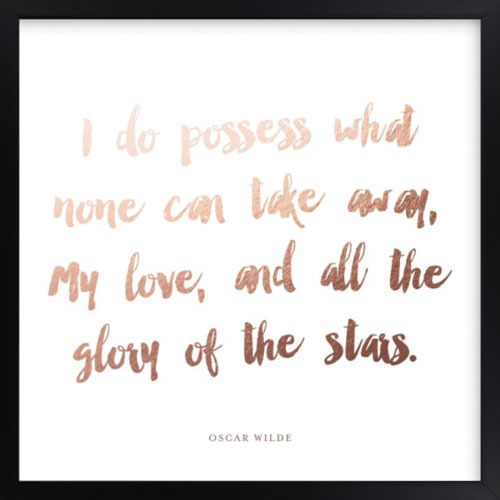 Custom vows and poem art is available in standard, foil-pressed, or letterpress printing with our assortment of colors and classic and specialty frames. 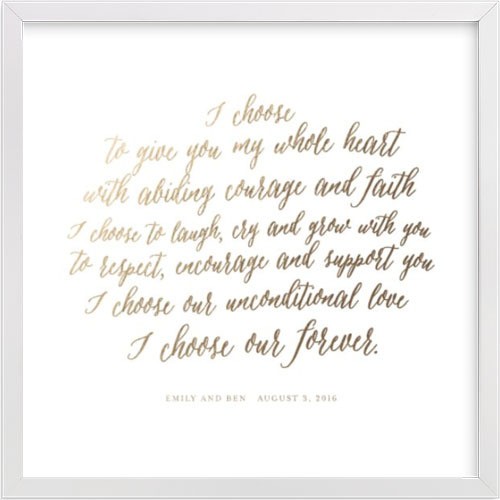 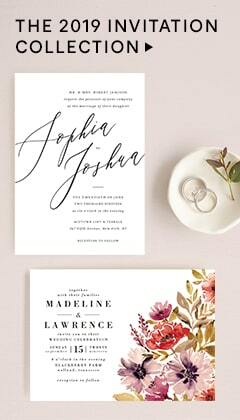 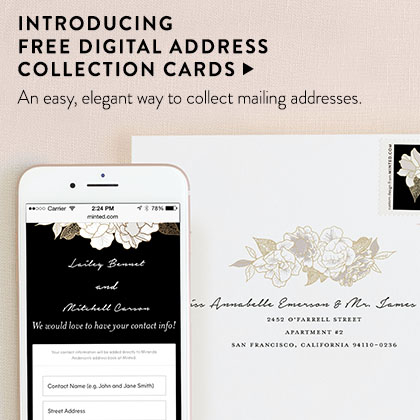 Provide us with the right words by copying your wedding vows or favorite poem into the text box, and choose your font. 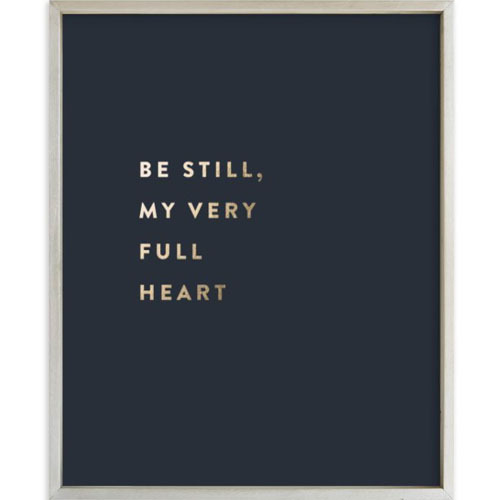 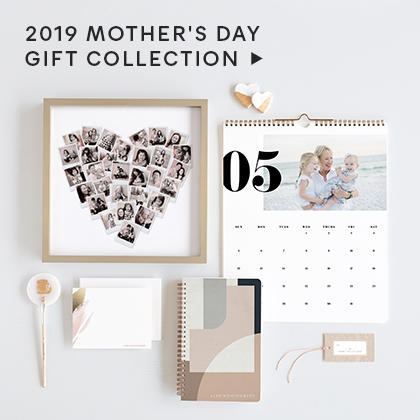 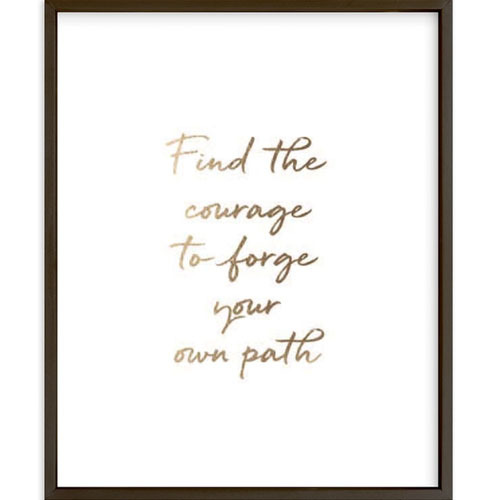 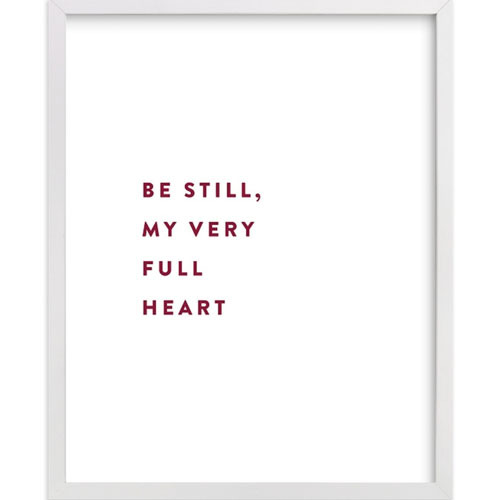 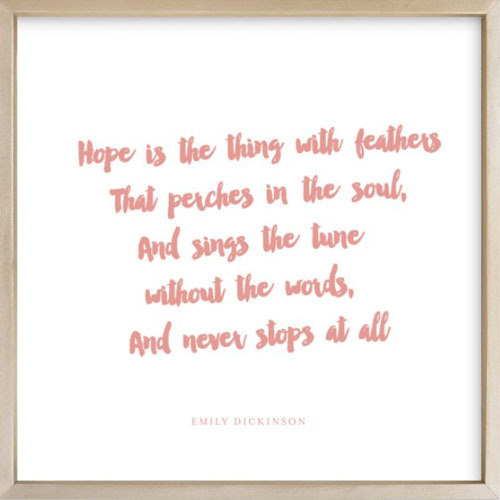 Our Design Associates will create a custom piece that shows off these wonderful words. 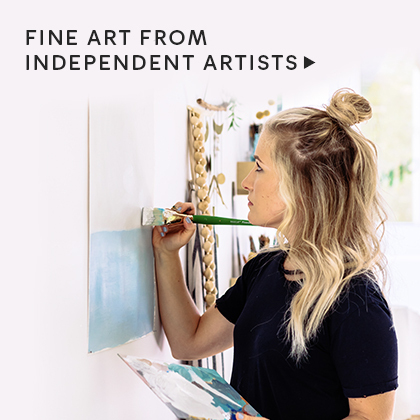 They will send a digital proof for you to review so you can see exactly how your custom art will be printed.